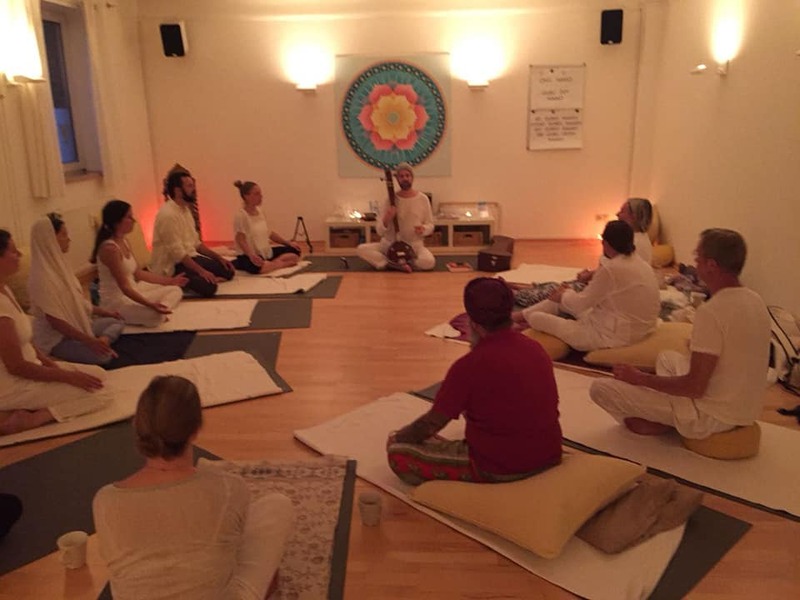 As Spring approaches and the energy intensifies to nurture your potential, dreams and personal growth, we wish to share with you an 8 week Kundalini Yoga course in Abundance and Awakening the Inner Warrior. Please bring a yoga mat if possible (limited number available) and a blanket. Onkar Kaur (Lisa Cunniff) has been teaching and practicing Kundalini Yoga for over 10 years. Originally from England, she is committed to life in Prague where she feels nurtured and enriched by the bohemian life style. In addition to KY, she offers reiki, massage, life coaching, consultations and teaches families and children. Her heart centred, grounded and direct approach make her approachable, warm and friendly whilst her own inner warrior inspires a 'keep up' attitude. You can drop in to any of the classes for 200kc or register for the full 8 weeks for 1500kc. Please register online on our website or by sending a PM. Spring into this season with energy and focused determination. Register for ALL 8 weeks! Register for 1 yoga class. Welcoming you to our new Space. 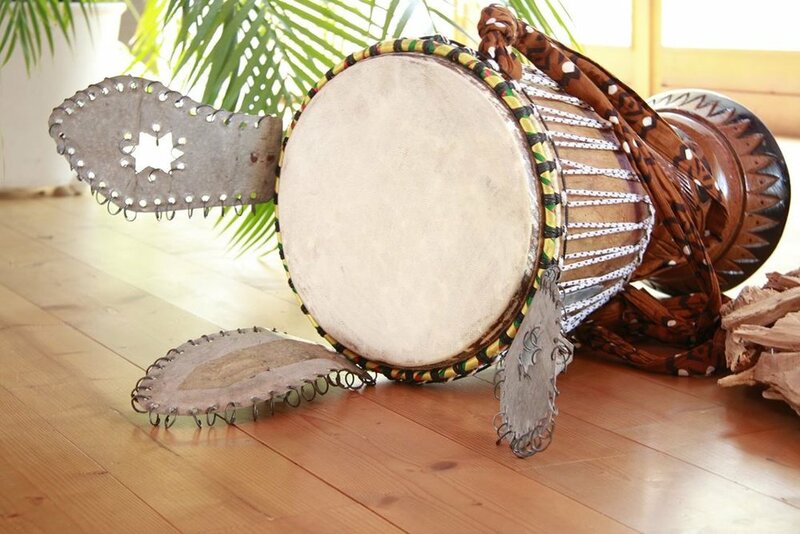 Brigitte will take you on a wonderful journey of self discovery as you immerse yourself in this shamanic drum circle. Welcoming you to the womb space of UP4ALL, we will gather in a cosy, nurturing room that leaves you feeling loved, relaxed, and at peace with one self. Leave the darkness of winter behind and celebrate through the beat of the drum, the coming of the magic of Spring. Awaken your energy and allow the drum to show you....you. Price: 200 czk. Space is limited so please register in advance via our website, by email, or private message. Brigitte invites us to step out of mundane hassles and into the nonphysical realm to reconnect, so we understand, or better, remember, who we are, where we come from and where we’re heading. Nurture yourself, Nurture your dreams, Nurture new beginnings. 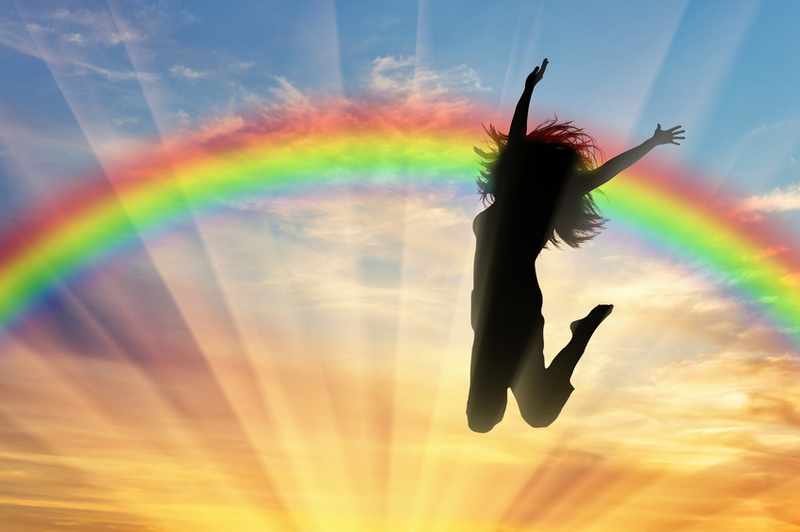 Bringing together experience from previous workshops surrounding issues of happiness, meaning, confidence and connection, this 6-week course will help you to better understand yourself, your feelings and thoughts, and to start reconnecting to yourself and others around you. Learn to create more authentic, meaningful relationships, find out what you want from life, and start living more in line with who you really are. Register for ALL 6 weeks! 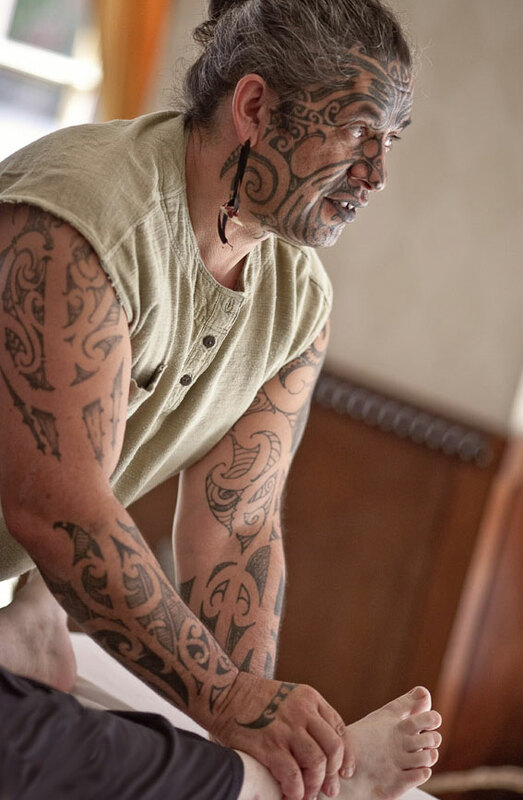 We invite you to share healing knowledge and practices with Taita Miguel, a shaman from Putumayo, Colombia. He will bring us the purifying and rooting powers of Rapé'h, an ancient tobacco used in spiritual ceremonies for its grounding and dilucidating effects. We will create a welcoming space where you can develop and revisit a connection with ancestral herbal medicine and go deeper into your bond with the universe and your self. We're ready to take you down the rabbit hole with this special themed Optical Illusion Paint Nite! Inspired by the winding streets of old Prague, join us for this guided painting. Don't paint but want to be creative and make art in a relaxing atmosphere? Come paint with us! No experience necessary and all materials provided. Have a unique experience and bring home a painting of your very own! Our popular paint night returns! This time with a galaxy-themed painting. Space is limited so contact us or reserve your spot right now! Children ages 12 and up are welcome. Hosted by Alexa Fermeglia — artist & educator. 4-hour workshop dedicated to opening and maintaining an open heart with asanas, meditations and celestial communication (movement- and dance-based meditations) for manifesting miracles. The mantras for elemental balance and divine consciousness will be embodied in voice and movement to experience your I am-ness, your Be-ing. The workshop will be in the NEW location in the theater @ UP4 [Na Kralovce 7]. Lisa has been teaching Kundalini Yoga for 9 years and has also been dedicated to a 5 rhythms and movement medicine practice for 8 years. She was given a mantra for elemental balance and miracles by Yogi Shiv Charan Singh to master and teach and has been doing so all over Europe for several years. Now, she will lead this special mantra for this workshop. 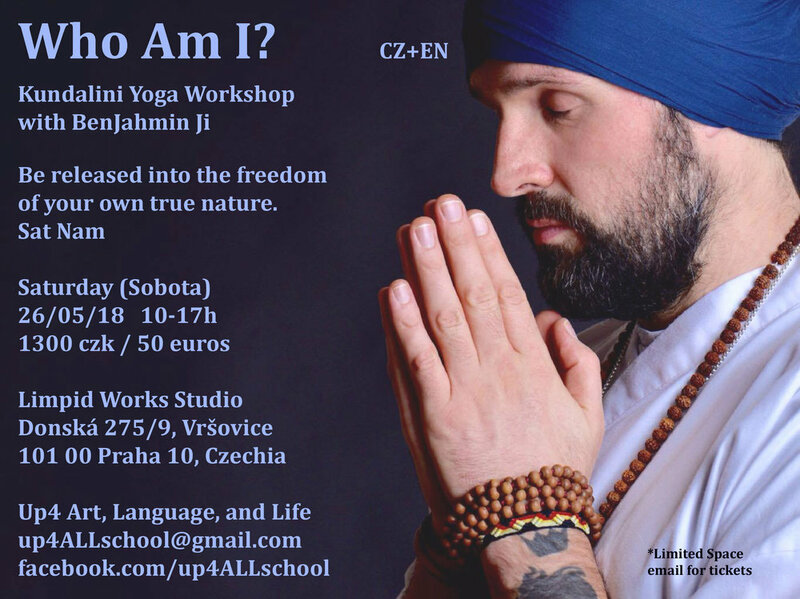 Lisa is based in Prague and has combined movement and dance to her Kundalini Yoga classes to deeply embody the science of naad, yoga and dance into one workshop. Please book in advance by clicking the button below. You may pay now or at the event. 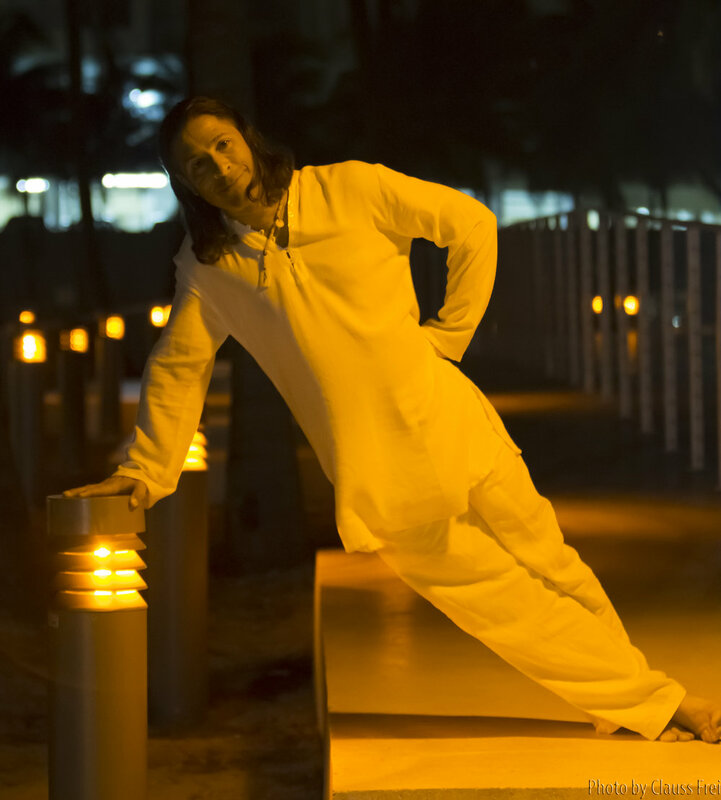 Naad Yoga is the science of sound and how to harness its gifts and truth through using the body as a musical instrument. It aligns our own body and consciousness with the truth of our essence and awakens us to our self. Moussa will be leading a Naad workshop for anyone to join. Whether you practice yoga or not, this will be a beautiful evening of harmony and deep relaxation in which you can discover the power of your own voice and the joy of uniting with others in sound. UP4ALL and Rainbows End Cafe welcome you to the sanctuary of our Indoor Beach for this wonderful workshop. Price: 200 czk (recommended) OR please make a donation you can afford. Hosted by Moussa Heis, visiting from Berlin. We are always creating new events and curricula. Please contact us if you would like to be involved or enter your email below to get on the mailing list. 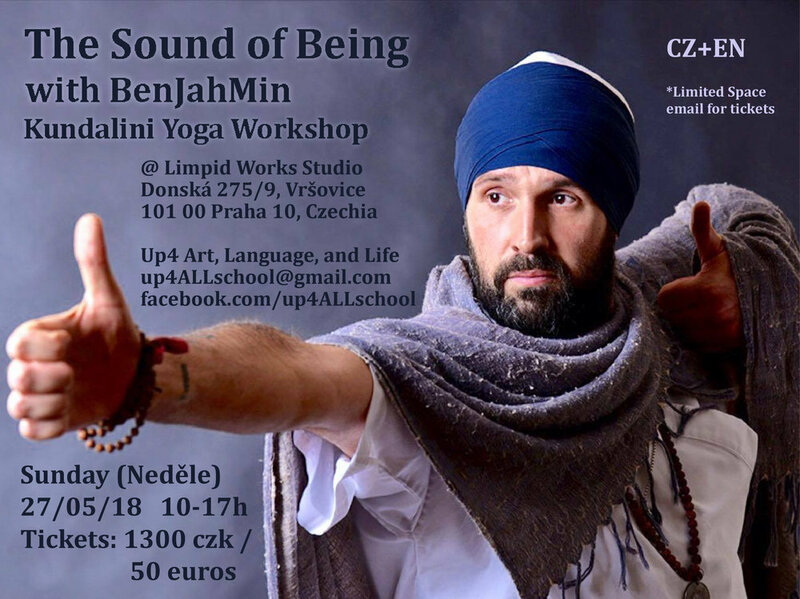 Grateful and blessed to welcome Sifu Ted Mattingly (Shaman Soaring Hawk) to Prague. Ted has an extensive background in physical health and wellbeing. He has worked as a consultant or trainer for the majority of his adult life. He was also trained by the Air Force as a medical specialist and worked as a pilates and kickboxing trainer before specializing in Chinese medicine and Tai chi. His commitment to the way of the Tao led him to the city of Shen Zhen, Ted studied under the teachings of Mr. Song, a six generation Tai chi Master. 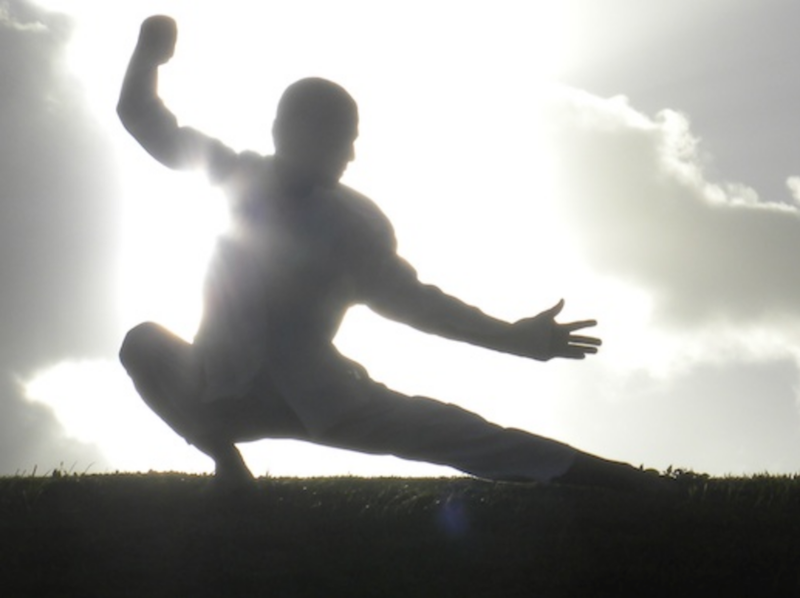 His style of Tai chi is called Shen Xing Taiji (Spirit Body Tai chi). As Ted increased his own levels of health to a phenomenal level and became a master of chi and wellness, he was sought out as a healer across the world. Ted now lives in Hawaii and travels periodically to offer help, guidance, healing and to share much needed wisdom for mind and body balance. All events are available only by PRE BOOKING your TICKETS, on our website OR at Rainbow's End Cafe. All prices are discounted 50 czk for cash purchases in the cafe. *A good Base of Physical Fitness is needed for this class. 'Walking Wisdom” Class to teach how to walk with the Tao..
Based on the Concepts of Taiji Quan(Tai-Chi Chuan) An excellent class for everyone, but especially for teacher, healers and therapists. Ling Qi Healing Sessions - Considered the highest form of energy healing and origin of reiki. As a qi master and Shaman, Ted is often asked to perform attunements and healings. My personal experience of healings with Ted were so intensely relaxing and life changing, stronger than any other reiki or energy healing session I have had, I would recommend everyone to see him. Vděčne a požehnane, přivítavame Sifu Teda Mattinglyho (Shaman Soaring Hawk) do Prahy. Ted má rozsáhlé zázemí v oblasti fyzického zdraví a blahobytu. Pracoval jako konzultant nebo trenér po většinu svého dospělého života. Je také vycvičený letectvem jako lékařský odborník a pracoval jako pilates a kickboxing trenér dříve se specializovat na čínskou medicínu a Tai chi. 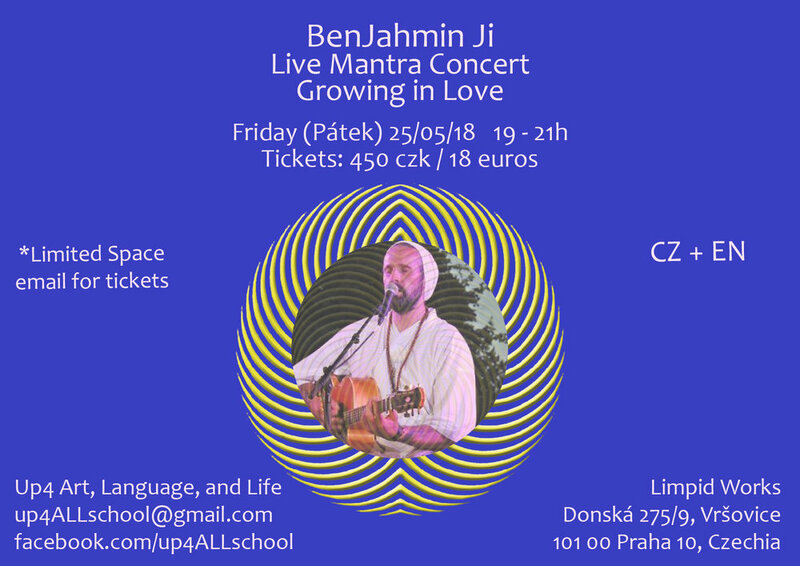 Jeho závazek k cestě Tao ho vedl do města Shen Zhen, Ted studoval pod učením pana Songa, šest generace mistra Tai Chi. 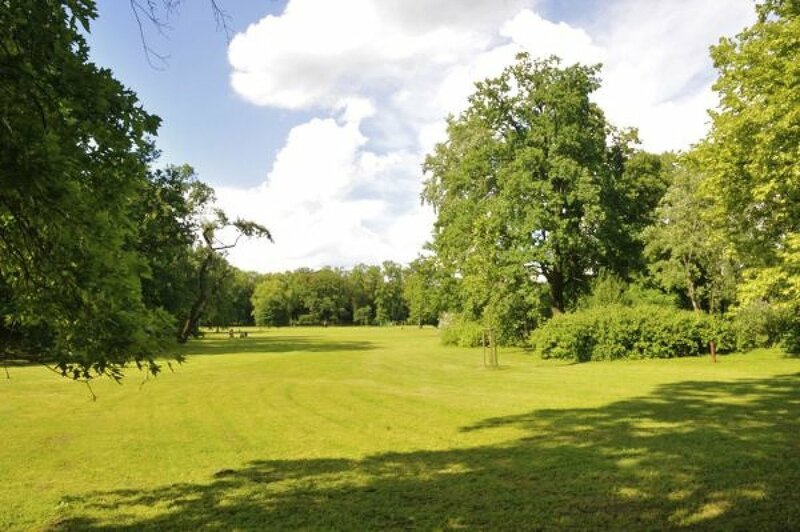 Jeho styl Tai chi se nazývá Shen Xing Taiji (Spirit Body Tai chi). Když Ted zvýšil své vlastní úrovně zdraví na fenomenální úroveň a stal se mistrem Chi a wellness, byl vyhledáván jako léčitel po celém světě. Ted teď žije na Havaji a pravidelně cestuje, aby nabídl pomoc, vedení, uzdravení a sdílení potřebné moudrosti pro rovnováhu mysli a těla. Veškeré akce jsou k dispozici pouze předběžnými REZERVOVÁNÍ VSTUPENKŮ. Jak rezervovat? Pošlete e-mail na adresu UP4ALLschool@gmail.com nebo navštivte webové stránky www.up4all.org, kde zakoupíte listky online. Pokud máte nějaké dotazy, pošlete nám prosím zprávu. Kua Xuan Fa - vnitřní cvičební systém, silně založený na navíjení Qi-Gong ... Pro tuto třídu je zapotřebí dobrý základ tělesné zdatnosti. Trénink "Chůze moudrosti", který učí, jak chodit s Tao .. Na základě konceptu Taiji Quan (Tai-Chi Chuan) Vynikající kurz pro každého, ale především pro učitele, léčitele a terapeuty. Považován za nejvyšší formu léčby energie a původu reiki. Jako qi mistr a šaman Ted, je často požádán, aby vykonal naladění a uzdravení. Moje osobní zkušenost s uzdravováním s Tedem byla tak intenzivně uvolňující a život se měnil, silnější než jakékoliv jiné reiki nebo energetické léčení, které jsem měla, doporučuji všem, aby ho viděli. The mind loves to chase a dream, a vision or a future. Always in a state of 'becoming' something or someone. This heart never wants to be anything. It only wants to BE. Effortless and awake in his awareness of Self. BE the Timeless Being that ignites the 'Golden Hue' of the mind / man. That Eternal Now is YOU !!! That Eternal Now is where Love lives. Be You, Be Now, Be Love. UP4 Art, Language, and Life Reserve your space for Paint Night!